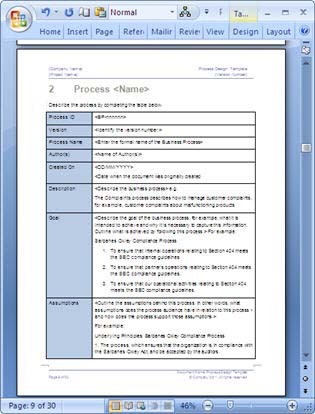 Download these Business Process Design templates (MS Word, Excel + Visio) to capture the procedures that govern how your business works from technical and operational levels. 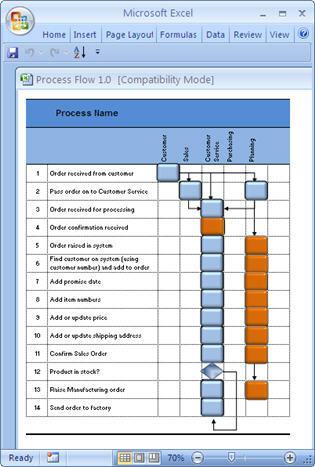 Use these MS Word, Excel and Visio templates to capture the events, inputs, resources and outputs associated with different business processes. 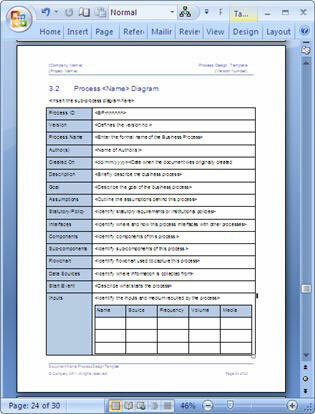 These forms, checklists and guides will help you map the scope of proposed systems (as-is processes) and how it will be implemented (to be processes). 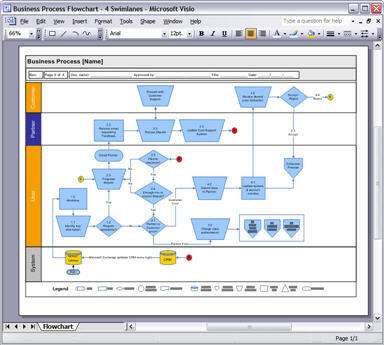 As business process are often visualized in a flowchart as a sequence of activities we have included three Visio flowcharts in this package. You get two templates in the zip file. One blue theme, the other red. 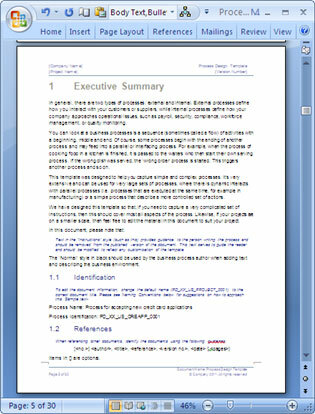 The red theme of the MS Word template has the exact same content as the blue theme. You can change the color scheme by updating the styles. 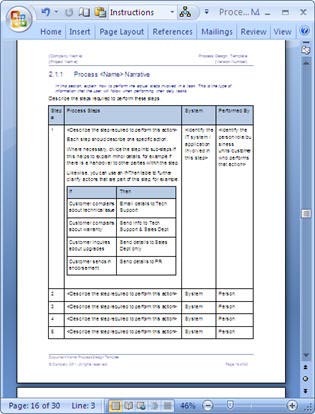 The templates are in Microsoft Word, Excel and Visio format and can be downloaded online for only $9.99. 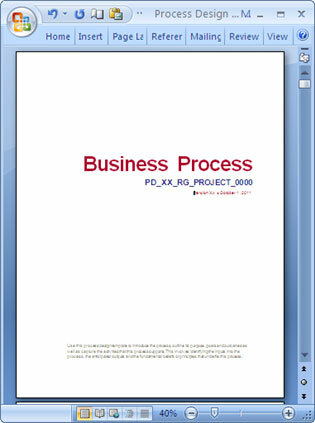 File Format: The templates are in Microsoft Word (.docx) Excel format (.xlsx), and Visio (VSD). File Size: The Download file is 1.7 MBs. 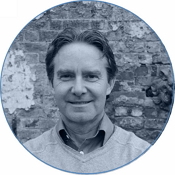 Since 1998, Klariti provided products and services to Accenture, AIG, Bearing Point, Cap Gemini, Cisco, Disney, Ernst & Young, GE, HBO, IBM, J.P. Morgan, KLM, KPMG, Lehman Brothers, LEVI’S, MacDonalds, Macy’s, Mayo Clinic, McCormick, McGrawHill, MEGA, Mesirow , Mitre, NHL, NTL, OmniVision, Oracle, OshKosh, PennWest Energy, Pepico, Performance Technologies, Philips, PriceWaterhouseCoopers, PV Cycle, Raytheon, Reuters, Roche, Rogers, SAAB, Sabre Holding, Safeway, Sagem Morpho, Sara Lee, Shaw, Shell, Siemens, Sikorsky, Sobeys, SpeakEasy, SunPower, Sydney Opera House, Symantec, TATA, Tetra, ThyssenKrupp, TNT, Toyota, Travellers, TYCO, UC Davis, Verizon, Visteon, Vodafone, Wachovia Securities, Wal Mart, Whirlpool, WIPRO, and Zurich among others. 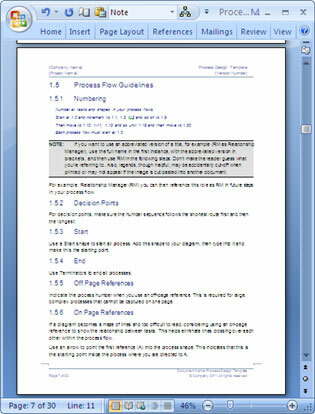 The files work in MS Word 97, 2003, 2007, Office 2010, Office 2016, Windows 7, XP, Vista, and Apple iWork (if you have Word for Mac), and Google Docs. 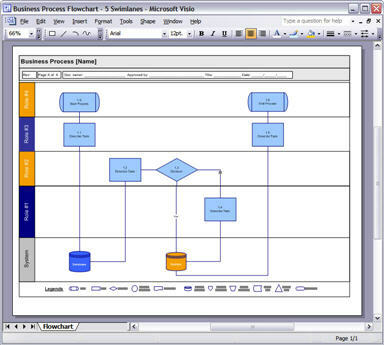 The Excels and Visio are standard MS Office files. 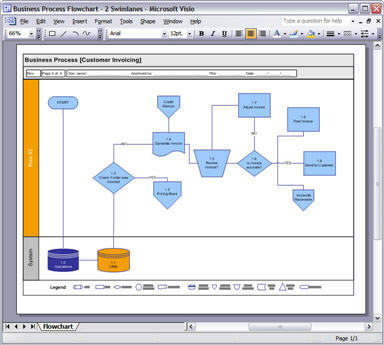 Note that you need Visio installed on your PC to use these files.